Hash oil making can be a delight with an easy hash oil recipe. We will list, step-by-step, the most easy way to make hash oil. You will learn how to make homemade hash oil in a short amount of time. We are going to show you here how to make a small batch of cannabis hash oil, such as your casual user might want to make in order to salvage weed no longer fit to smoke, but still full of delicious trichomes, THC, and CBD. You can use it while smoking cannabis to get a strong kick, or you can use it on its own. For the cleanest results, you can freeze your marijuana and Everclear in the freezer to prevent the less tasty chemicals from being extracted. Set up in an open area with proper ventilation, to avoid concentrated fumes. To begin, first put together your apparatus to strain and catch your hash oil mixture. Set the strainers into the funnel, then put the funnel into your jar. Now you have your strainer ready. If you don’t have all the tools or are missing a strainer, don’t worry. This step is no more than straining the mixture, do it anyway you can as long as you use safety protocols and strain out the plant material. Remember alcohol can dissolve chemicals from plastics and fabrics, so try to use cleaner, more resilient tools, such as glass, ceramic, or stainless steel. Now, take your ground marijuana and put it into the measuring cup and fully cover it with Everclear. If you have 8 grams of weed, it may take 2 to 5 ounces of Everclear to completely submerge the weed. You don’t want too much because that will just make it take longer to evaporate, but too little and you will short yourself. The Everclear alcohol is going to extract the cannabinoids and THC from the weed. You will stir the mixture for 3 minutes then pour it through your strainer and into your jar. You can repeat this with the same weed and a new jar and strainer to get anything left behind, but the second jar will contain a weaker hash oil.At this point, you have the alcohol and cannabinoids dissolved in your jar. Remember the alcohol is flammable so keep away from flames. Now you need to boil off your alcohol so that you’re left with only your hash oil. You can do this without a heat source by putting the solution into a flat wide dish where the alcohol is allowed to evaporate over several hours. This will avoid the danger of concentrated alcohol fumes. Or, you can heat the mixture. To do this, set your burner slightly above the boiling point of ethanol, around 174 F, but below 230 F. These low temperatures will help you avoid fire. However, the fumes will be another issue. You can use a double boiler so that the ethanol is not directly heated for added safety. You will see the solution bubbling, this means the alcohol is evaporating. Once the bubbling stops, the alcohol is all gone and you have pure hash oil left. Remove from heat. You will have a tarlike substance that may be a hard or waxy. Remove immediately to your storage container while the wax is easy to work with. Total heating time for about 8 grams of weed to make 1.5 grams of hash oil may take less than 15 minutes to evaporate out the alcohol. You can use a blade to scratch the stain from the coffee filter, the result is pure kief (trichomes) you can use for other projects. Discard the used trim or buds. Your hash oil will stay potent for up to a year. Now you know how to make weed oil to smoke the easiest way. Some experts advise not to let the alcohol touch metals other than stainless steel, any kinds of plastic or rubber, or other materials which may leech into the alcohol. This is sound advice. Chemicals used in processing plastics, as well as heavy metals can give your hash oil a bad taste, or worse, reduce the health potential of your medicinal hash oil. 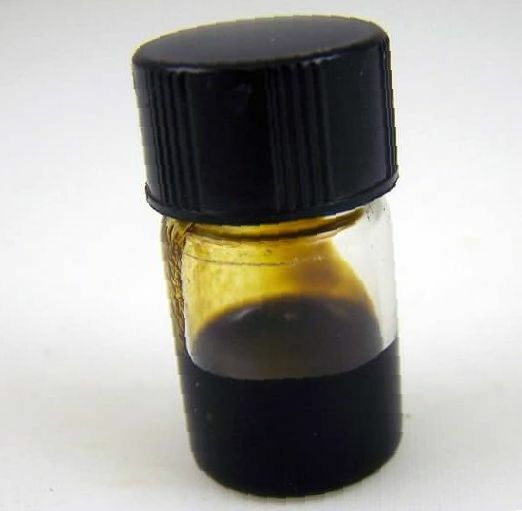 To make larger batches of hash oil, you will need small tweaks to this basic formula. Firstly, you will need to get larger strainers and coffee filters. These you need to make sure will fit into one of two pots you can use as the receptacles for your hash mixture. It’s important to use a double boiler or rice cooker to heat your solution to avoid applying heat directly to the pure grain alcohol. If you don’t have a double boiler, you can make your own. You can do this by taking a pot and filling it a fourth with water. Bring this to a boil, then reduce the heat to a simmer. excellent issues altogether, you just won a new reader. What might you suggest about your submit that you made some days ago? Any sure? Woah! I’m really loving the template/theme of this website. It’s simple, yet effective. A lot of times it’s very difficult to get that “perfect balance” between superb usability and appearance. I must say you have done a very good job with this. Additionally, the blog loads extremely fast for me on Firefox. Superb Blog! I am glad to be a visitor of this thoroughgoing blog! , thankyou for this rare information! . Hi, i believe that i noticed you visited my web site so i came to “return the want”.I’m attempting to in finding issues to improve my website!I assume its ok to use some of your ideas!! Admiring the time and effort you invested in your site and comprehensive facts you present. It really is great to come across a blog once in a while that is not the similar old rehashed material. Great read! I’ve saved your blog and I’m adding your RSS feeds to my small house floor plans site. Hi there, I’m truly grateful I found out this web page, I actually encountered you by mistake, while I was browsing on Yahoo for leather sofa cleaning service. Anyways I’m here right now and would simply enjoy to say cheers for a fantastic blog post and the overall interesting website (I furthermore like the theme), I don’t have time to read through it completely at the minute however I have book-marked it and also added your RSS feed, so whenever I have plenty of time I’ll be back to go through much more. Make sure you do keep up the fantastic work. Hey. I recently came across this site and I truly love it. I also always like to chat about microsoft excel courses occasionally. Great to be here, regards! Hello there can you inform me which platform you are dealing with? I am going to get started on my own personal website on videoconferencing systems in the future yet I’m having a tough time making a decision. Thank you for this superb write-up! I definitely appreciated learning about.I’ll make sure to bookmark this page and will come back from now on. I would love to encourage you to definitely continue your great work, even blog about bitcoin calculator as well, have a wonderful morning! I personally arrived right here from a different page about luxury house plans and considered I should consider this. I really like the things I see thus I am just following you. Getting excited about finding out about the website back again. You are entirely right. I really enjoyed reading this info and I will get back for more immediately. My internet site is on the subject of Ethereum wallet, you can take a glance if you are interested in that. Hello! This is my very first reply on your site so I simply wanted to give a quick shout out and say I really enjoy reading your posts. Can you recommend any other sites which go over Ethereum wallet online? I am likewise extremely intrigued by this thing! Thanks a lot! It was actually amazing reading this info and I believe you’re entirely right. Let me know in the event that you are involved in uber parking ticket, this is my major expertise. I hope to hear from you in the near future, take good care! You are absolutely right! I really liked looking through this info and I will come back for more as quickly as possible. My own website is on NYC summon, you could take a peek if you’re still interested in this. It was actually amazing to read this and I feel you are entirely correct. Inform me if you’re looking into test credit card numbers, that’s my principal competency. I hope to check back with you soon enough, be careful! professional assistance I have continually enjoyed viewing your site. my school research and the overall preparation would never have been complete without browsing your blog. mhxbhupqjhc,Your blog was informative and valuable to me. Thanks for sharing.